As we kick-off another wrestling season, it is important to stop and talk about certain safety precautions that can maximize your chances to participate and have success during practices and matches this year. Dan Gable and Iowa trainer Matt Doyle make specific suggestions how wrestling coaches can keep wrestling and training rooms clean of germs that lead to skin infections. Injury rates in wrestling are lower than some sports, but due to the nature of the sport, wrestlers are exposed to a wide variety of stresses that can cause injury. Recently, we have learned more about the prevalence of skin infections in wrestling. While skin infections are not the most common injury in the sport of wrestling, the National High School Sports-Related Injury Surveillance Study for the school year 2008-09 (www.injuryresearch.net) estimated that over half of skin infections in high school athletes occur in wrestling programs. Additionally, in June, the National Athletic Trainers’ Association (NATA) issued a new position statement guideline on Skin Diseases (www.nata.org). It was developed over the past five years by a committee of experts. The guidelines gained national media attention when segments were aired on NBC’s Today Show and ABC’s Good Morning America. Mike Moyer, executive director of the National Wrestling Coaches Association (www.nwcaonline.com) also commented he was pleased with the efforts and direction of this document. These statistics and recommendations continue to raise awareness about the issue of skin infections, which is a good thing. No matter what the type of skin infection, prevention and education are key to you as an athlete and wrestling as a sport. Here are some of our tips. While skin infections are a serious threat to athletes in any sport, there is a lot that is being done right to contain these injuries and beat the odds. While I know I am the extreme guy who errs on the side of prevention, my style has always been to teach and motivate athletes to be coaches themselves. 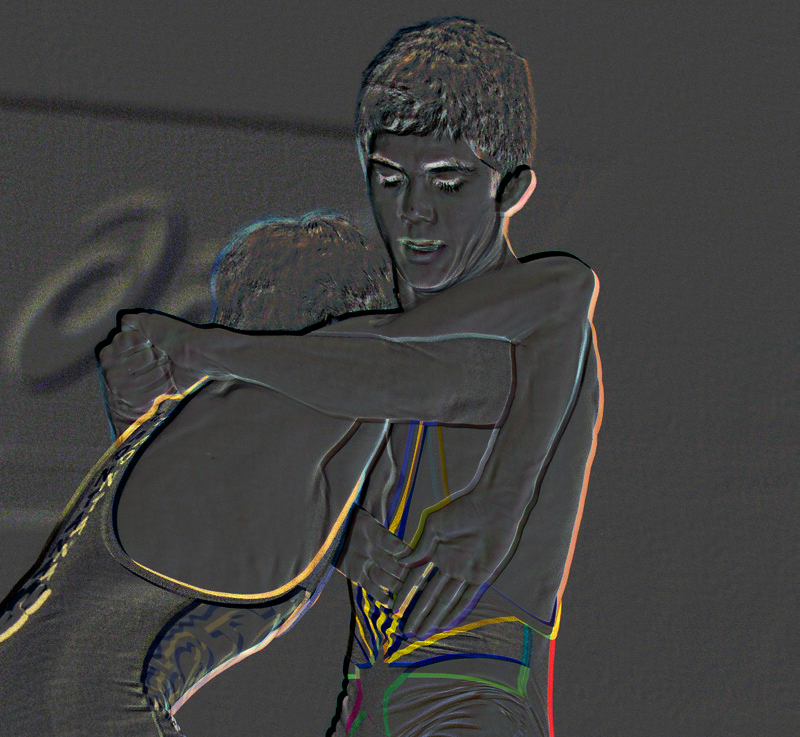 I want them to know everything essential pertaining to the sport of wrestling. Yet, I still want them to listen and be respectful, while accomplishing all that they can. Prevention and performance are the words that define this philosophy. When you are an athlete at the highest level, you are typically educated about all the possible things that can go wrong. That is what coaches help you with. But at any level, the athletes and parents need to be reminded that it’s not just about the athlete as an individual, but about everyone the athlete comes into contact with. The first two things taught to wrestlers should be hygiene and nutrition. Without mastering these two things, wrestlers will struggle. Both of these are life skills and need to be explained appropriately and understood clearly. Another essential component in wrestling is appropriate protective gear including a good fitting headgear and form-fitting mouth piece. Teaching the actual skills of the sport is also essential, but without the previously mentioned safety precautions, learning the skills will be more difficult. At the end of the coach’s practice, it usually means it’s time to hit the showers. Nowadays, some facilities don’t have showers. In that case, wrestlers should wash arms and faces before leaving, and then go home and shower immediately. A good shower helps tired muscles and aids recovery time. In fact, I remember taking hot showers with soap, then hitting the sauna to relax my muscles and cleanse my body, then showering one last time with soap in a hot and cold shower. In fact, I never left when practice was over. I spent at least one hour doing more drills, strength and conditioning, recovering, showering and getting into the sauna or steam room. Between these, I showered three or four times using soap and I had very little difficulty with skin issues. I never missed a match and can’t recall missing a practice because of a skin infection. Parents have a role, too. They need to be educated about the possible infections that can occur during wrestling. I would suggest mandatory meetings for athletes and their families when the season starts to talk about hygiene, nutrition and safety. It should be taken seriously in a classroom situation. This helps gets everyone on the same page and working together to support the athlete and help prevent these types of issues. The emphasis should be to strive for perfection, but if there is a skin infection, treat it like the loss of a match, learn from it, and implement prevention methods that work. Shoot for perfection and do everything possible to eliminate skin infections. That should be the goal. Fortunately, at the University of Iowa, coach Tom Brands works with wrestling athletic trainer, Matt Doyle, to help the program stay safe. And, while we know a major part of avoiding infections is keeping skin clean, we also know that the facilities and equipment must be clean, too. That’s another area where Matt helps us stay on track. As a wrestler, there can’t be anything left undone. One needs to train all year, be good to your body and be committed to safety issues like skin infections. This is just one more part of being prepared for your sport. Today’s coaches have a lot on their minds — the players, the team, the strategies for success and winning. Having a full time athletic trainer on-site for athletes can be a key factor in keeping athletes healthy and preventing skin infections. At the University of Iowa, I work closely with the athletes and coaches, developing and then making sure our procedures are being implemented. But even if people don’t have easy access to the services of a certified athletic trainer, they can still benefit from their advice by following the recommendations recently published in the Skin Infections position statement (www.nata.org). That is a thorough, well-written document that clearly spells out what programs need to do to stay healthy. Clean surfaces are just as important as clean skin. Therefore, all surfaces must be cleaned and disinfected appropriately including wrestling room mats, floors, showers and any areas where the athletes are touching surfaces such as in the locker rooms and athletic training rooms. Wrestling programs should develop and follow a plan for routine cleaning. Work with local infection control specialists to discuss processes and procedures or find other programs that will let you borrow theirs (see sidebar for the University of Iowa Mat Cleaning Protocol and Facility Maintenance procedures). Above all, custodial and janitorial staff must be appropriately trained and included as partners in this process. Many disinfection products only work if they are applied as directed for certain periods of time and staff must understand the appropriate uses. One of the most important things I do as an athletic trainer is teach the athletes the importance of good personal hygiene. To help prevent infections before they even hit, communicate with the athletes about what they need to do to treat their bodies right through rest, proper nutrition and proper training. • shower immediately before and after practice or matches (including the bottom of feet) with an antimicrobial soap. We provide an antimicrobial soap with four percent chlorhexidine gluconate, such as Hibiclens, in our showers. It can also be used for hand and arm cleansing. Do not use or provide bars of soap, only liquid soaps; if a locker room or shower isn’t nearby, shower as soon as possible with an antimicrobial (not just antibacterial) soap. While athletic training staff and athletic training students at the University of Iowa work closely with our programs to provide clinical education and prevention services, we also partner with a physician who knows how to diagnose common skin infections. In fact, the NATA recommendations suggest that all programs that are unable to have a physician on staff should partner with a local physician (dermatologist) who is educated in sports injuries and infections to provide assistance. Because we launder our towels, uniforms, etc. in-house, we work closely with staff to ensure they use the Centers for Disease Control and Prevention (CDC) standards for water temperature and detergents to cleanse materials every day, like towels, uniforms, knee pads and any gear worn during practices. We have an Occupational Safety and Health Administration (OSHA) officer that works with our department to provide annual education programs. This includes discussions and safety protocols related to blood-borne pathogens, hand hygiene and surface cleaning. This information is then provided to staff and athletes. It is important that athletes are not ashamed or embarrassed about skin issues and most importantly, not hiding them for fear of being unable to participate in sports. My job on a daily basis is to evaluate skin wounds or lesions and educate athletes on what to look for and when to get a physician evaluation. We always err on the side of caution, encouraging athletes to immediately show me any skin lesion. Most importantly, this is because the sooner a skin issue is diagnosed and treated the more likely it is to be minor. The longer one goes without treatment the higher the chances it can turn into something much more difficult to treat. Written protocols for athletic training rooms are becoming more formal and standardized, which is good. I understand that not every program has the resources to employ all of these tips. In fact, your prevention methods should be cost-effective, reasonable, and most importantly shared with administrators, facility staff, family members and all individuals involved in the program. Most of the time it is about forethought and planning. Simple procedures help alleviate fear, educate and help identify problems early so they can be taken care of sooner rather than later. Dan was right in that short cuts don’t work. It doesn’t work in training, in competition or even in prevention. Raising awareness about the issue of skin infections in wrestlers and promoting prevention can only help support all the hard work and training that is already going on to make championship wrestlers.